Throughout a long and not-necessarily successful career covering all-things Hispanic, I’ve encountered all kinds of marketing tactics pitching “culturally-relevant” products to Latinos. I have been particularly impressed with Kellogg’s honey-flavored Corn Flakes, Kraft’s Oreo’s con café con leche and even the one and only Hispanic cheese. 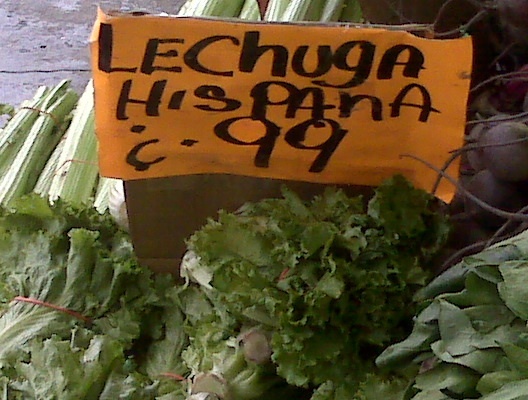 However, of all the things out there making us, Latinos, feel right at home here in the U.S., the Hispanic lettuce (found this weekend at a Harlem bodega) takes the cake. Besides, how much do you think this bodega owner spent on targeted media?